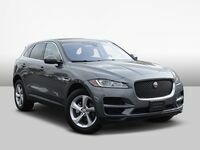 Premium luxury, an athletic package and performance-tuned powertrains highlight the growing luxury crossover class. With a smorgasbord of high-end, attractive alternatives, car shoppers are left with a decision to make in this popular segment. After an exciting debut, the all-new 2017 Jaguar F-PACE resides at the top end of the spectrum with a perfect combination of luxury, performance, style, versatility and technology. Take a closer look at the Jaguar F-PACE against a key class competitor in this 2017 Jaguar F-PACE vs 2017 Audi Q5 comparison. Stand out from the competition and get behind the wheel of the 2017 Jaguar F-PACE at Barrett Jaguar in San Antonio. Available in five trim levels - F-PACE, Premium, Prestige, R-Sport and S - the Jaguar F-PACE can be tailored to meet your expectations. A sleek style is highlighted by a bold front end and is complemented by a sport-tuned platform that manufactures a world-class ride. When you get behind the wheel of the Jaguar F-PACE, you will find yourself riding in the lap of luxury with LuxTec leather interior, a panoramic sunroof, dual-zone automatic climate control, keyless ignition and much more that will cater to your every need. What Are the Differences Between the Jaguar F-PACE and Audi Q5? In the luxury crossover class, you get what you pay for and the 2017 Jaguar F-PACE is no exception to the rule. With a base MSRP of just $41,990 for the Jaguar F-PACE trim level that possesses a long list of standard features and a fuel-efficient diesel powertrain, the Jaguar F-PACE will outpace the competition in this 2017 Jaguar F-PACE vs 2017 Audi Q5 overview. Stock 2017 Audi Q5 Premium trim levels start at $40,900 with a lackluster list of standard features. Power and performance are key aspects of the luxury crossover segment and the Jaguar F-PACE delivers on all counts. 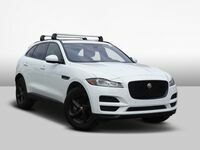 Base Jaguar F-PACE models feature a 2.0-liter turbodiesel inline-4 power platform that manufactures 180 horsepower and 318 pound-feet of torque. 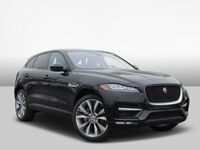 Married to an eight-speed automatic transmission, the diesel-powered Jaguar crossover will make 26 mpg in the city and 33 mpg on the highway with incredible power. Drivers who desire next-level performance can upgrade to the potent 340-horsepower 3.0-liter Supercharged V-6 engine that is mated to the eight-speed automatic gearbox. All Jaguar F-PACE models come standard with a dynamic all-wheel drive system that employs Torque Vectoring to amplify performance. Audi Q5 models counter with a standard turbocharged 2.0-liter four-cylinder engine that shells out a humdrum 220 horsepower and 258 pound-feet of torque. Paired with an eight-speed automatic transmission, the Audi Q5 makes 22 mpg in the city and 27 mpg on the highway. An upgrade to the supercharged 3.0-liter V-6 engine provides a disappointing 272 horsepower and 295 pound-feet of torque. All-wheel drive is a standard element for all Audi Q5 models. Technology and versatility are key aspects of the luxury crossover segment and are highlights of the 2017 Jaguar F-PACE. With an impressive 33.5 cubic feet of cargo space behind the rear seats that expands to 63.5 cubic feet, the Jaguar F-PACE is tailor-made for family adventures. A standard eight-inch InControl Touch touchscreen interface that provides access to Apple CarPlay, Android Auto and Bluetooth connectivity makes the Jaguar F-PACE a favorite for tech-savvy car shoppers. Audi Q5 editions do not offer a touchscreen display.